I love entertaining and having people in our home. We always serve wine or beer if our guests drink, but there are times I would love to offer cocktails. I do have a beautiful bar cart after all! But when it comes to making cocktails, it can be a little intimidating. And, if you don’t make cocktails all the time, you don’t want to have a gazillion liquors and cocktail making supplies. You want it simple. You want to be able to create a drink that’s beautiful and tastes amazing. Well my cocktail loving friends, let me introduce you to MINTA, a naturally flavored soda. What is MINTA? 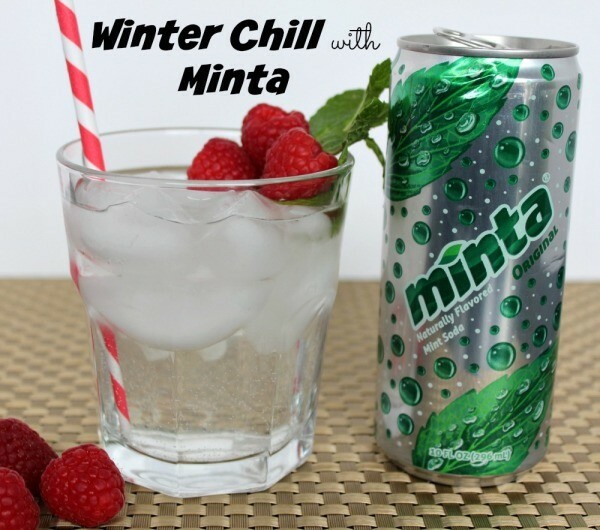 It’s a naturally flavored soda which combines a mint blend, fruit juice, carbonation and pure cane sugar to create this amazing fresh, delicious tasting beverage. 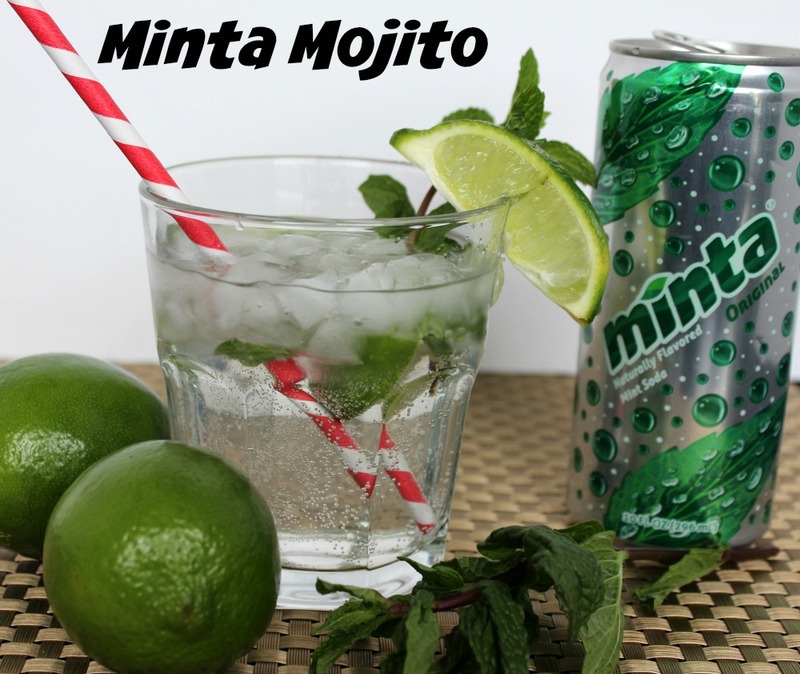 It’s perfect as a treat for your soda loving kids (it’s been approved by my 11 year old) or as a mixer to add sparkle and minty taste to your cocktails. 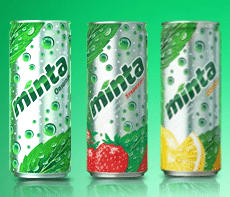 It comes in MINTA Original, MINTA Strawberry and the new MINTA Lemon. I put my cocktail making skills to the test and used MINTA Original for all three. How did they turn out? Absolutely delicious and something I would be proud to serve to guests. Plus, they’re fun to make and they look fantastic. Up next, I made a Winter Chill cocktail. It’s a gorgeous white drink that when you add the raspberries and mint, the drink just pops. 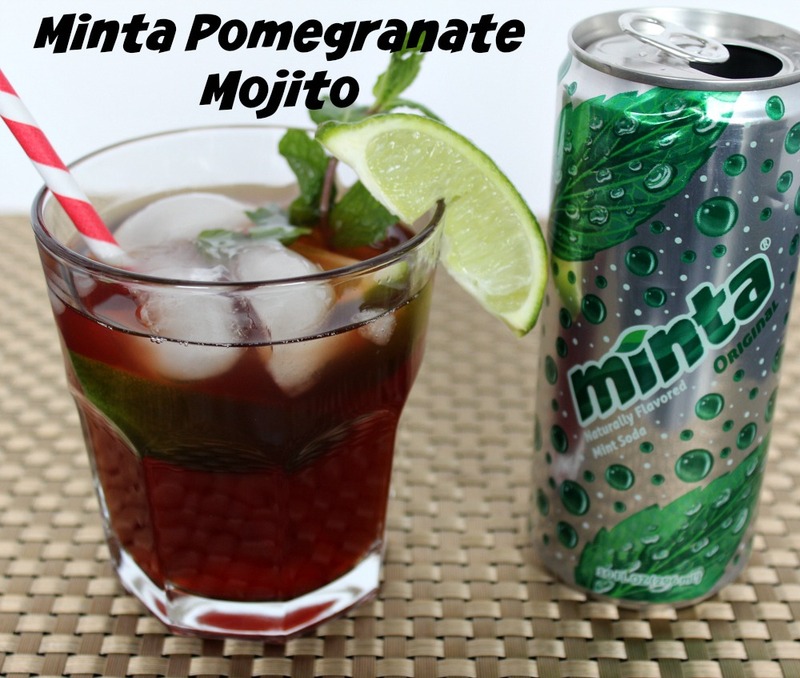 Last up, and one that was my favorite is the MINTA Pomegranate Mojito. To give the kids a little something special to drink, you could pour them a glass of MINTA Strawberry with ice, garnish with mint leaves, strawberries and of course, a striped straw. Now, who’s ready to come over for a cocktail party? 🙂 To find out more about MINTA and where to purchase, visit MINTAsoda.com. *Disclosure: Mom Fabulous received product to sample.